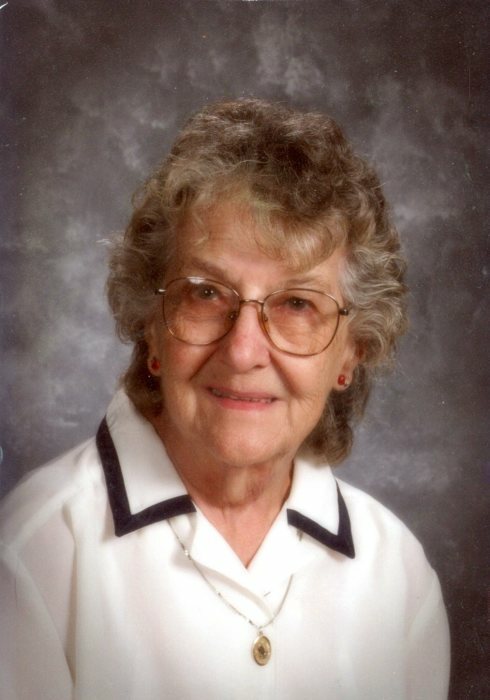 Roselyn “Rosie” Winchester, 86, of North Vernon, passed away at 10:17 p.m. on Monday, April 1, 2019, at the home of her daughter, with her daughter by her side. Born October 30, 1932, in Bartholomew County, Rosie was the daughter of the late Harry R. and Mildred Alberta Wagner Robinson. She married Kenneth “Kenny” Winchester on March 14, 1952 in Indianapolis, he preceded her in death on April 19, 2012. Rosie was a 1951 graduate of Jackson Township School in Decatur County and worked as a cashier for Hooks Drug Store in North Vernon for 20 plus years before retiring in 1991 and had worked stocking shelves for L’eggs for four years. She attended Vernon Baptist Church, was a Foster Grandparent and a former member of North Vernon Moose Lodge. She enjoyed flowers, gardening, fishing, Indiana Pacers and Chicago Cubs Fan. Survivors include her daughter, Kathie (Jim) Giles of North Vernon; brother, Larry (Beverly) Robinson of North Vernon; grandchildren, Susan (Kevin) Olds, Michael Collier, Cara Giles all of North Vernon and Kenny Wright of Queensville; great-grandchildren, Krissy Olds, Nathan Olds, Alexis Collier and Madisen Collier, all of North Vernon. She was preceded in death by her parents; her husband; a daughter, Ruth Giles; brothers, Ralph and Ronnie Robinson; sisters, Carolyn Richardson, Joan Robinson and her twin sister, Rosemary Bennett. A funeral service will be conducted at 10:30 a.m. on Saturday, April 6, 2019 at the Dove-Sharp & Rudicel Funeral Home and Cremation Service in North Vernon. Family and Friends may call at the funeral home on Friday, April 5, 2019, from 4:00 p.m. until 8:00 p.m. and one hour prior to the service on Saturday. Burial will be in the Vernon Cemetery.